In my previous post, I explored what happened when you converted a polynomial from its variable form into a base-x numerical form. That is, what are the computational implications when polynomial is represented by the base-x number , where the parentheses are used to hold the base-x digit, -11, for the second power of x? So far, I’ve explored only the Natural number equivalents of base-x numbers. In this post, I explore what happens when you allow division to extend base-x numbers into their Rational number counterparts. This can be seen as a geometric series with first term and ratio . It’s infinite sum is therefore which is equivalent to , confirming the division computation. Of course, as a geometric series, this is true only so long as , or . I thought this was pretty cool, and it led to lots of other cool series. For example, if ,you get . I found it quite interesting to have a “polynomial” defined with a rational expression. As shown above, only for . At , the series is obviously divergent, . For , I got which is properly equivalent to as as defined by the convergence domain and the graphical behavior of just to the left of . Nice. I did find it curious, though, that is a solid approximation for to the left of its vertical asymptote, but not for its rotationally symmetric right side. 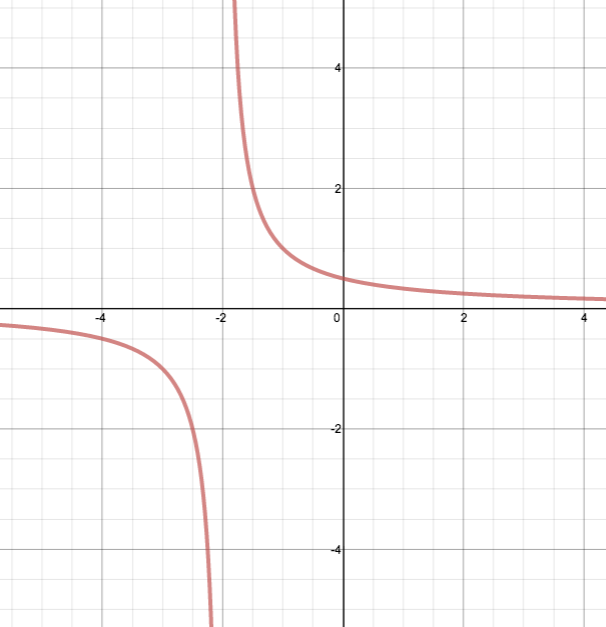 I also thought it philosophically strange (even though I understand mathematically why it must be) that this series could approximate function behavior near a vertical asymptote, but not near the graph’s stable and flat portion near . What a curious, asymmetrical approximator. Some quick calculus gives the Maclaurin series for : , a geometric series with first term and ratio . Interestingly, the ratio emerging from the Maclaurin series is the reciprocal of the ratio from the “rational polynomial” resulting from the base-x division above. As a geometric series, the interval of convergence is , or . Excluding endpoint results, the Maclaurin interval is the complete Real number complement to the base-x series. For the endpoints, produces the right-side vertical asymptote divergence to that did for the left side of the vertical asymptote in the base-x series. Again, is divergent. It’s lovely how these two series so completely complement each other to create clean approximations of for all . Because any polynomial divided by another is absolutely equivalent to a base-x rational number and thereby a base-x decimal number, it will always be possible to create a “rational polynomial” using powers of for non-zero denominators. But, the decimal patterns of rational base-x numbers don’t apply in the same way as for Natural number bases. Where is guaranteed to have a repeating decimal pattern, the decimal form of clearly will not repeat. I’ve not explored the full potential of this, but it seems like another interesting field. Once number bases are understood, I’d argue that using base-x multiplication might be, and base-x division definitely is, a cleaner way to compute products and quotients, respectively, for polynomials. The base-x division algorithm clearly is accessible to Algebra II students, and even opens the doors to studying series approximations to functions long before calculus. 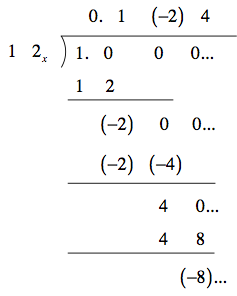 Is there a convenient way to use base-x numbers to represent horizontal translations as cleanly as polynomials? How difficult would it be to work with a base- number for a polynomial translated h units horizontally? As a calculus extension, what would happen if you tried employing division of non-polynomials by replacing them with their Taylor series equivalents? I’ve played a little with proving some trig identities using base-x polynomials from the Maclaurin series for sine and cosine. What would happen if you tried to compute repeated fractions in base-x? It’s an open question from my perspective when decimal patterns might terminate or repeat when evaluating base-x rational numbers. I’d love to see someone out there give some of these questions a run! This entry was posted in Math and tagged calculus, derivative, fractions, maclaurin, number bases, precalculus, series. Bookmark the permalink. I was able to convert polynomials to its base x form, do some prime factorization, and work out a factor for the polynomial. Have you revisited this way of looking at polynomials? I’m interested! Thank you! This is a very cool idea. My only concern is that the technique may be limited to problems with single-digit positive integer coefficients. The technique certainly works, but how do we know whether to use 156 = 12*13 or 2*78 or 3*52, or any other? In that way, this is much like the trial-and-error of standard factoring. I’m wondering if this can be refined.